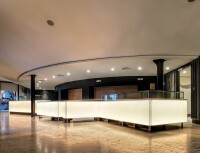 An acoustic treatment solution from Sto has been used on a major £4.1m theatre refurbishment project in Yorkshire. 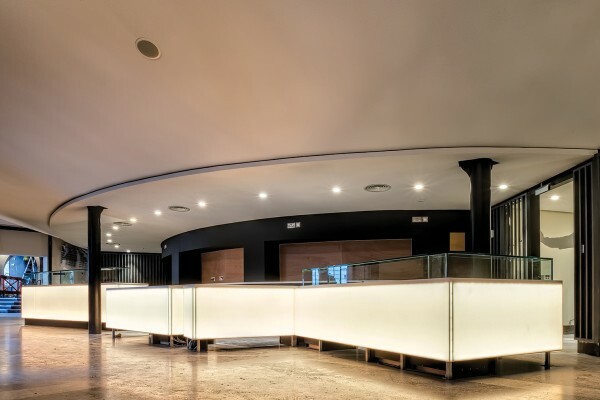 A StoSilent panel seamless acoustic ceiling system was used to dramatically improve the acoustics in the foyer of York Theatre Royal, and to enhance the acoustic environment in the adjoining theatre spaces. The StoSilent panel system that was used features 96% recycled glass boards which provide a high-level acoustic performance. In the case of the York Theatre Royal, these were suspended from an SC 400 braced steel grid, and finished with a StoSilent Décor M coating. This spray-applied, sound-permeable layer provides a decorative but practical top coat which enhances the dramatic appearance of the new foyer. The StoSilent range of acoustic systems offer more than just outstanding technical performance and the best sound environment.